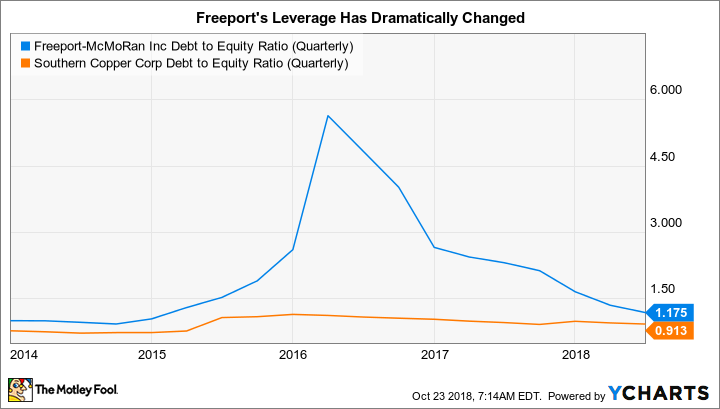 Freeport has lost a third of its value so far this year -- is something wrong or will the company make it through this downdraft in one piece? It's been a hard year for Freeport-McMoRan Inc.'s (NYSE:FCX) stock, which is down by a massive 36% since Jan. 1. That decline increases to 40% if you track the stock from its early January highs. In fact, Freeport's precipitous decline isn't out of line with copper-focused peer Southern Copper Corporation (NYSE:SCCO), which is down by 33% from its early January highs. From a price perspective, then, there's no major warning signs flashing today at Freeport-McMoRan.